Header bidding and, more recently, wrapper technology, have dramatically increased the efficiency with which publishers can monetize inventory and optimize revenue. But how have publishers adapted to this new paradigm? Has it changed how they interact with industry players? And what operational challenges has it created? To address what it means to be a publisher in 2018, AdWeek hosted its Elevate event, November 1st, in New York. During the conference, I had the chance to host a fireside-chat with Evan Adlman, VP of Programmatic at Condé Nast, during a morning session. Our Q&A session provided a first-hand perspective on how publishers manage wrapper technology and balance revenue, user experience, and advertiser satisfaction in the header bidding era. Adlman is responsible for programmatic sales and strategy across Condé Nast’s twenty-two iconic brands, ranging from Vogue to Golf Digest. Condé Nast uses header bidding and wrappers across all of its properties. They apply a combination of conventional client-side wrapper technology and newer server-side solutions. As you may know, server-side wrappers use far fewer browser resources, decreasing latency while increasing auction speed. But not all bidders have adapted to this format, hence Condé’s flexible model. 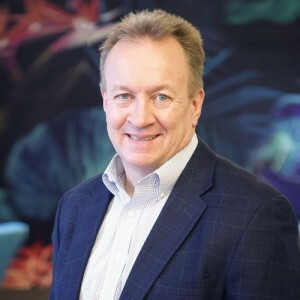 PubMatic suggests a hybrid approach (via its OpenWrap technology, for example) to engage the broadest possible array of advertising partners on both the client side and server side simultaneously. As with many premium publishers, Adlman says header bidding has been transformative for Condé Nast, taking them from all-manual to real-time optimization. Their properties can now engage with multiple platforms and auction off inventory in a way that optimizes revenue for each impression. But, header bidding and wrappers are technically complex and the impact on latency can be significant. Adlman reports that Condé Nast has a tech team dedicated to ensuring content and ads load quickly. It is vital that each property delivers the best user experience so readers keep coming back for more content. In fact, site load speed, not revenue, is one team’s top KPI, and Conde Nast needs to balance revenue with user experience. I then directed the conversation to programmatic auctions. Condé Nast has taken a hands-on approach to how it mediates its auctions. Rather than enabling mediation in the wrapper, Condé Nast takes all bids from all bidders. This generates the highest demand on any given call and the auction is run in the ad server. However, they must still maintain business relationships with individual bidders and continually evaluate the value of those relationships to the business. For Condé Nast, it’s all about unique demand. “Managing bidders to cull out those who may be too slow or too inactive is a continual process,” Adlman continued. 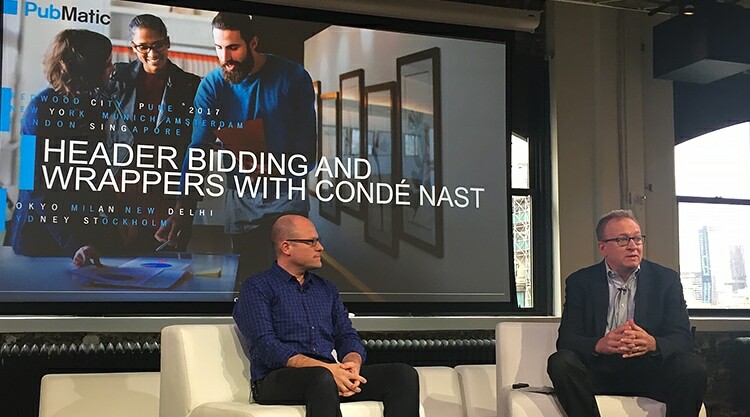 Condé Nast maintains a core team within its programmatic department to monitor data on bidding activity, evaluate response times, and assess how much revenue bidders bring in or if they are consistently losing bids. Day-to-day management comes down to monitoring page-load speeds, monitoring revenue, and resolving problems. Bidders who are meeting expectations can stay in the header bidding rolls. For others, there’s a Plan-B option. Condé Nast can place partners without guaranteed demand outside the header in a standard private marketplace with slightly lower priority and inventory access. When asked about changes ahead in programmatic, Adlman said he expects more brand dollars to come in as marketers incorporate more second-party data into their buys. He also expects to increasingly see programmatic as a way to make decisions based on data, not just a way to buy up remnant inventory. He concluded by stating that marketers are becoming more educated about header bidding and aware of wrapper-related issues. “They are finally coming to the table and asking the right questions,” he added. Of course, Adlman wants Condé Nast to capture more of those brand dollars. He’s also hoping for better back-end tools to emerge for publishers in the form of universal reporting platforms. Such tools would allow his team to analyze all advertisers, across all bidding partners, in a holistic way. It was a pleasure spending time on stage with Evan. His insights are indicative of the challenges and successes publishers are experiencing within the programmatic landscape. To learn more about header bidding and wrapper solutions, visit our Thinking page. If you would like to partner with us, please let us know.